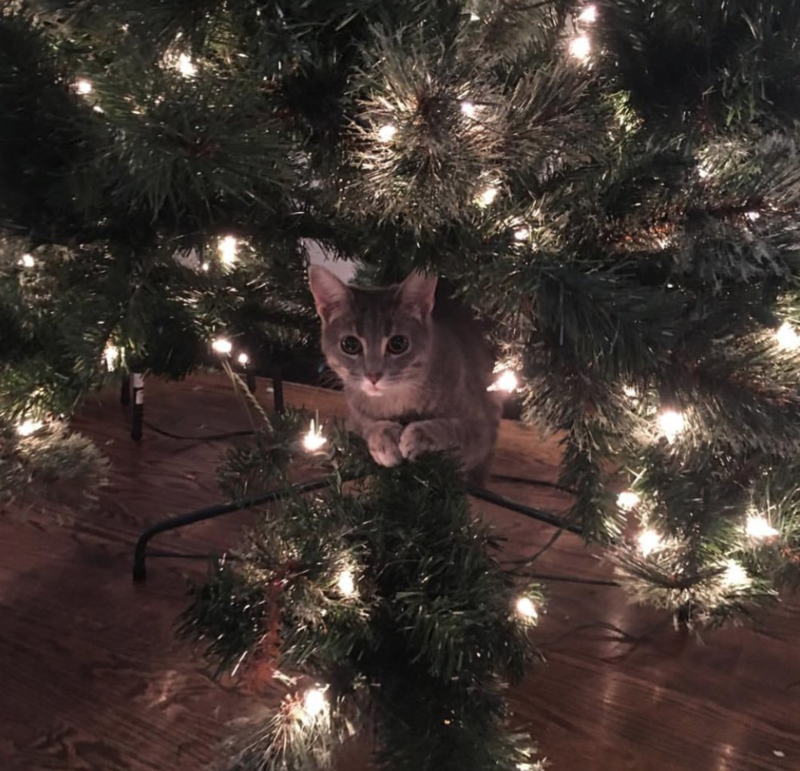 For cat owners, it’s tempting to chalk up the behavior as typical cat mischief, but a cat researcher tells Inverse there’s a scientific reason why kitties can’t seem to get enough of Christmas trees. With some help from a cat Facebook group dedicated to cat loaves, we got tons of pics. Besides, who could blame cats for wanting to play with tons of dangling, shiny things? Christmas trees are also like massive perches, and cats love to climb up them. This is probably because cats descended from a tree-climbing carnivore Proailurus — clearly, that ancient impulse hasn’t worn off. “Many [cats] will climb trees because they love to climb, and especially if they don’t have a cat condo, or cat shelves, it may be the tallest vantage point they can get in your house,” Delgado explains. 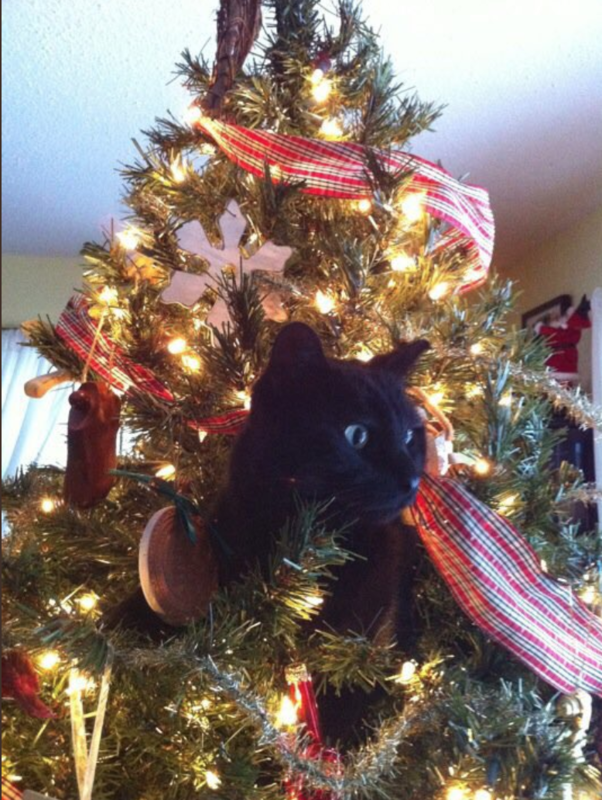 While kitties in Christmas trees can make for an adorable photo opp, it’s important to take some safety precautions. Delgado recommends securing the tree to a wall and keeping ornaments high up. In short, cats think Christmas trees are just super cool new toys/thrones for you to worship them in. And of course, you should worship them on Christmas and every other day. It’s what they deserve. Artículo anteriorWhy Does My Dog… Always Lick Me?